New York (VNA) - The permanent representative missions of the 10 ASEAN countries to the United Nations (UN) organised “ASEAN Family Day” in New York’s Astoria Park on August 19. Featuring a number of cultural activities, including folk games, singing and display of national dishes, the event has become an annual tradition of the ASEAN missions. It aims to promote solidarity and mutual understanding among the ASEAN diplomats to the UN in particular and the bloc’s member nations in general. 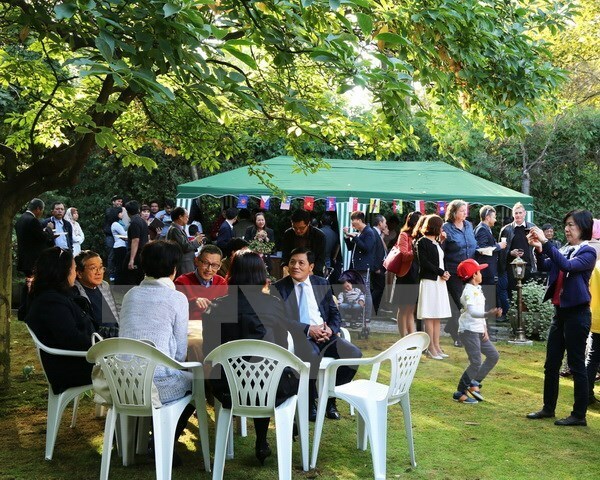 Joining the event, Ambassador Nguyen Phuong Nga, head of the Vietnamese permanent mission to the UN, introduced the country’s delicacies and folk games to international friends.